Cauliflower dishes are popular in Georgia and there are many variations. 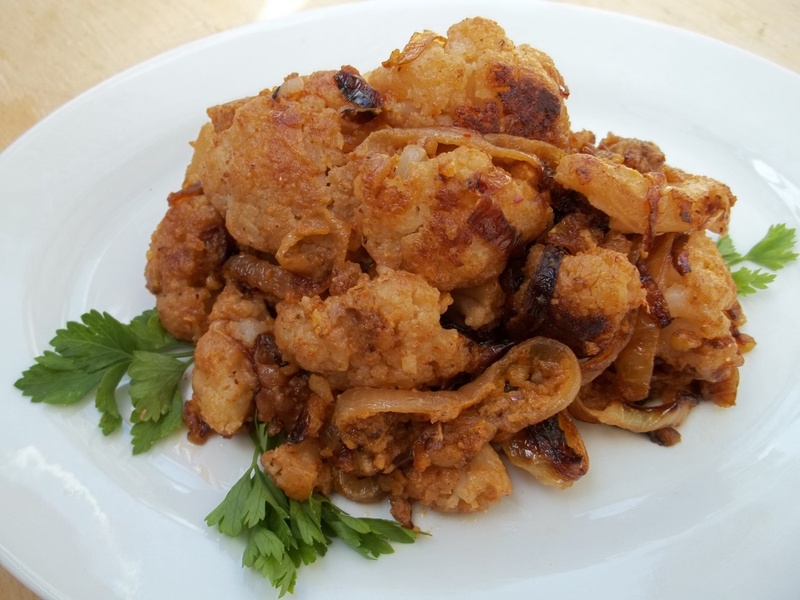 In this recipe we show how to make a family dish made with cauliflower and walnuts. 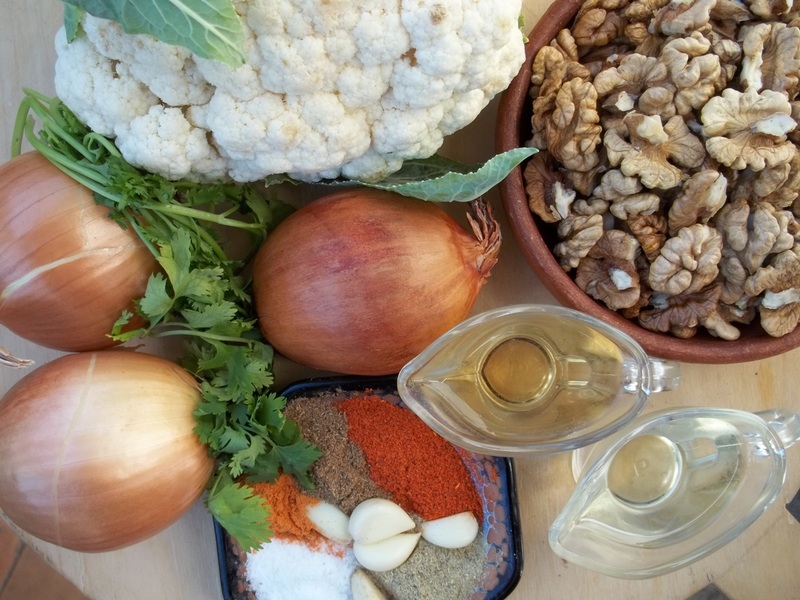 Ingredients: 1 medium sized cauliflower, 200 grams of walnuts, 3 white onions, 4 cloves of garlic, 1 tsp of dried marigold, 1 tsp of dried blue fenugreek, 1 tsp of dried coriander, 1 tbs of red pepper, salt (amount dependent upon personal preference), 1 tbs of white wine vinegar and 6 tbs of oil. 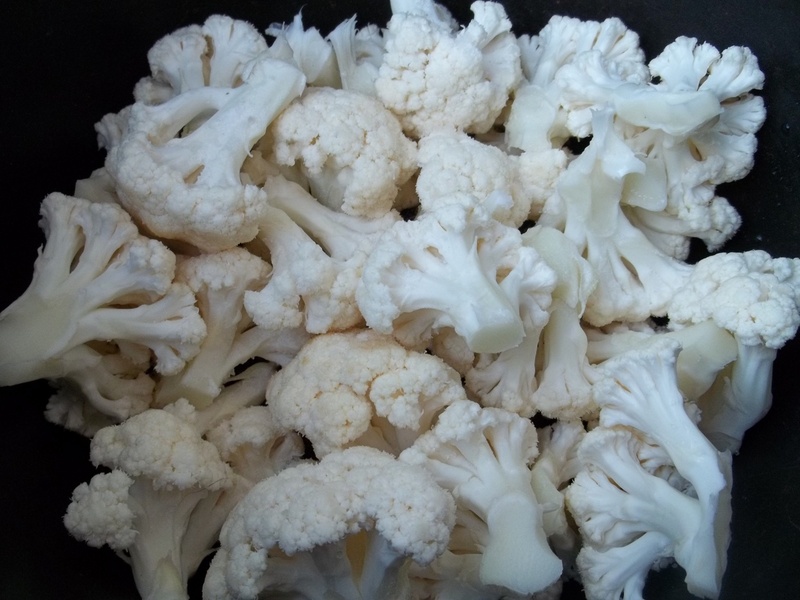 Preparation: Add the cauliflower to a deep pot of salted water and boil for 15 minutes. 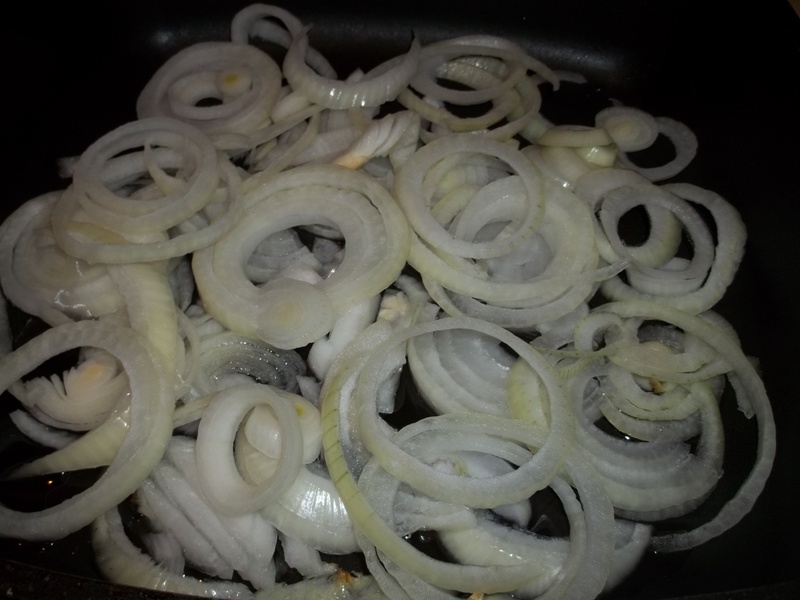 Slice the onions and add to a pan of oil. Fry on a medium heat until they brown. 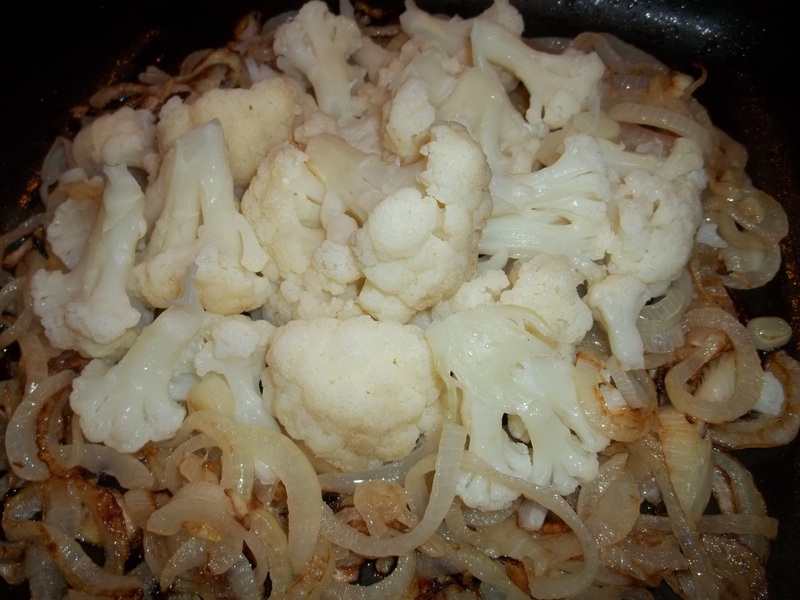 Drain the boiled cauliflower and add to the pan of fried onions. Stir and fry for 7-10 minutes (uncovered), stirring frequently. 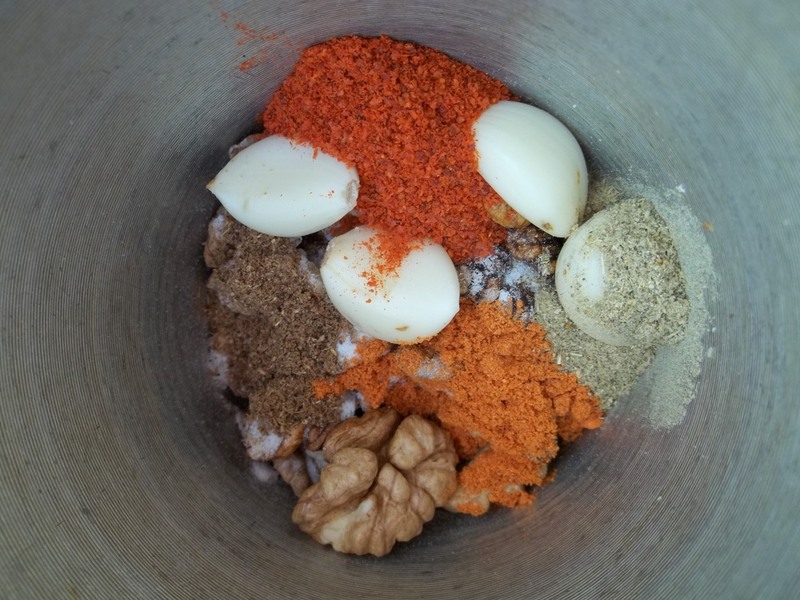 Add the spices, pepper, salt, garlic and walnuts to a mortar and squash them to release the juices and then crush them together. 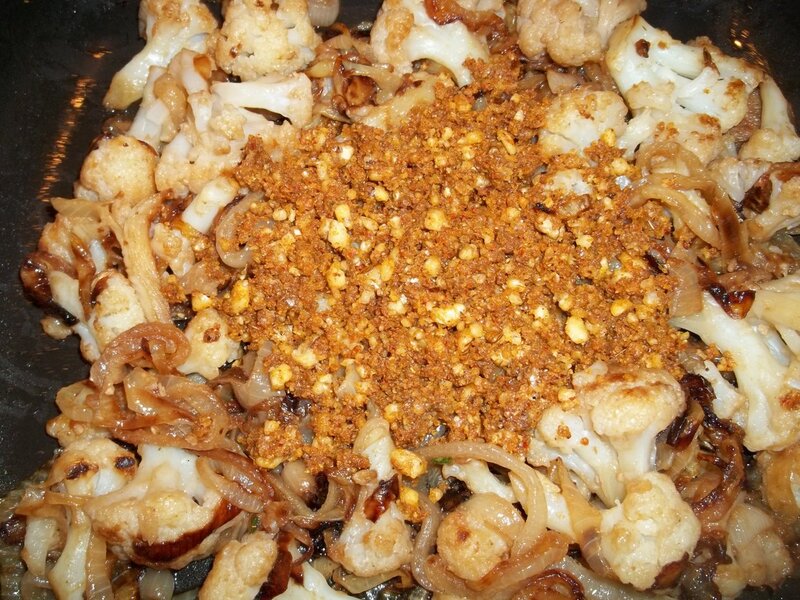 Add the crushed ingredients to the pan of fried cauliflower and onions. Stir carefully and fry for 2-3 minutes, stirring frequently. Serving: Serve hot. Garnish with fresh coriander or parsley. 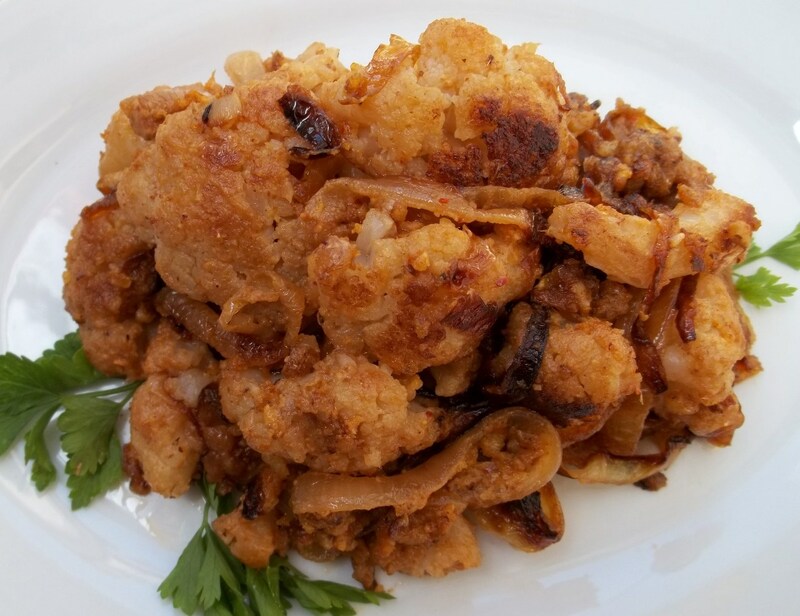 Enjoy your Cauliflower with Walnuts! Looks great! I like cauliflower. This looks so delicious. What amazing food you have! since i have started cooking Georgian, my life changed. thanks for this blog!!! What wonderful news! I am delighted that are you trying the recipes. Enjoy!